If you want to learn how much our expert end of tenancy service will cost you, contact our 24/7 client assist. It is possible to do that by dialling 020 3404 0500 or by utilizing the online contact form. Our crew of cleaners will arrive at your property with the comprehensive cleaning checklist of all products and places which your property or home manager will be checking out before providing their bond back. The service has no time limit, and the team of skilled cleaners will stay and clean until finally all things are checked out as completed. The FORTY EIGHT hr 100 % satisfaction ensure we offer means that in case you or your landlord are not pleased with our task, we will revisit and clean up again totally free! Excellent Carpet Cleaning is a professional post tenancy cleaning company which has successfully served the people and companies of Cranford TW14 since 2004. Over the years, we have dedicated in delivering experienced move in and out cleaning services for all regional residents. This service is useful for: tenants, agencies, property owners and also for people who are purchasing or selling a property - commercial or private. We have made a full end of tenancy cleaning checklist which is strictly followed by our cleaners. This register has been approved by a wide variety of regional landlords, property managers and estate companies as what they truly hope from the cleaning at the final of your tenancy arrangement, so that they do not withhold part or all of your rent deposit for extra cleaning fees. We certainly have hand-picked each one of the cleaners, background checked out them for police data and have skilled them to work with all of our contemporary professional cleaning machines, methods and Prochem certified alternatives. All of our end of tenancy cleaning clients get a 48 hr guarantee, so if there is a problem, we will come back and clean the house once again for free! If you order a deal of a couple or more of our services, we will award you with very attractive discounts. This will help you save effort, money and energy throughout the intense process of relocating. If you need support moving out and making sure that you will get your lease deposit back in 100 %, do not wait to reserve the skilled end of tenancy cleaning service or a combination of the services we offer. 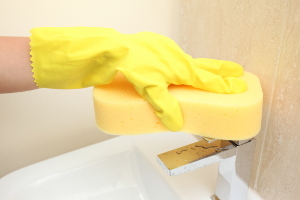 Reserving our tenancy cleaning service will simply take several minutes. Possibly call up 020 3404 0500 or send us an online request right here. Our client care agents are there for you day to day, so you will be obtaining created confirmation soon. You don't need to make an advance transaction for reservation, and we can not ask you to spend any hidden charges when we are done with the cleaning. Our prices are fixed and clear. You can get a large low cost from the costs of our services, by booking Two or more of them simultaneously. Furthermore, if you book our service quick on in time, if you are a standard client or a landlord or property agency, we will provide you our exclusive beneficial prices for each of our services. Do not hesitate to reserve our top quality assured, expert tenancy cleaning service now!